You’ve heard me say it before: One of my biggest pet peeves with other ads agencies is their narrow-minded focus. Too many marketers look at Facebook ads manager as your only measure of “success,” but that’s an incomplete picture! Here’s the thing: If you’re not looking at the whole customer journey, you’re not being effective. Listen to this episode for the rundown of how we track + why this matters. [3:39] What are you doing with those leads? The extra step we add into every funnel. [8:22] Facebook’s new tracking system! Have you tried it? In today’s episode, we’re going to talk about tracking your entire customer journey and why this makes you more money. This is one of my biggest pet peeves from other agencies and Facebook ad people out there, and I know it’s an issue because one, clients have come to me, potential clients have come to me sharing a story from a previous agency. Two, I have ads managers who I hire who previously worked in agencies and I have to untrain them from this way of thinking. It drives me crazy because if you’re not marketing and looking at the whole customer journey and where there’s potential holes and gaps, but also what is and isn’t working, like as an agency or as the marketing team, there’s no way you’re being as effective as you possibly could. Here’s kind of what I mean. There’s the obvious way of doing this which is just tracking like, first of all, you should have your funnel drawn out. One of the first things we do after our strategy calls is we draw our clients funnels out in Lucidchart, and that way we can actually pair it with all the ads that we want to run through the funnel. First of all, you should draw that out because every step that you have, you have an opportunity for improvement. You will have, let’s use a webinar as an example. You have your webinars, so it would start with Facebook ads to the webinar. You will obviously have your Facebook ads that you can monitor and track and see how those are actually converting. Are they getting clicks? What’s the cost per lead? Then you have your webinar, what’s your landing page conversion? How many people that click there are opting in, what is that conversion rate equal? From there you have your actual webinars, so they go to the webinar, what’s your show up rate? What percentage of people who sign up are showing up? Do you have an issue there? From there, you probably have your sales emails and your sales sequence to whatever you pitched on the webinar. What’s your email open rates? What’s your email click rates? What is your sales percentage conversion actually from that webinar? What is your overall cost per acquisition and your overall ROI as a whole in the funnel? That is like the high level, how you can look at it. Here is the other part that I like to add in and that is what happens in 30, 60, 90 days from now after that lead eventually signs up for your webinar. A lot of our clients come to us with a funnel where it goes, webinars, sales pitch, and then they just drop off. It’s like, what are you doing with those leads? 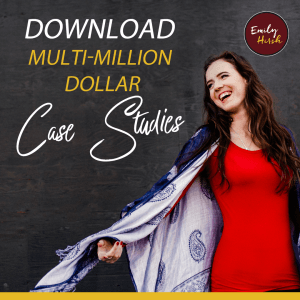 So one of our standard strategies that we implement for our client is actually 90-day nurturing that happens after the webinar and builds in a couple of flash opens or sales depending on what your pitch is. There needs to be urgency with your pitch on the webinar first of all. Let’s say 3 days after your webinar the doors are open and you use something like Deadline Funnel so you can continue to run this. The doors are open for people to buy and then after 3 days, Deadline Funnel redirects and you can’t purchase anymore. During that 90 days you’d give them two more opportunities that you’ve planned, like let’s say after 30 days and after 60 days you give them those opportunities. What you do is you build in nurturing in there because what happens is like if you expect that a huge percentage of people are going to buy right, cold traffic or even slightly warm traffic like the first time they hear about your offering, yes, a small percentage will, but a huge percentage won’t. We’re talking 95% of people won’t. If you’re lucky, it may even be like 99% people. What is going to happen to all those other people? They’re going to be sitting on your list, you’ve already paid for them to come on your webinar, don’t just throw them down the drain. Do something with them, nurture them, continue to build that relationship, continue to build that connection with them and then pitch to them again your offering that they need because that’s why you created it. This just happened, we had a client, she was getting about 7 sales a week with her budget, it was going great. Then all of a sudden over a weekend it was like a 3 day period, she got 0 sales. Instead of us being like, “Oh my God, you know, what’s happening?” and freaking out, the first thing you ask is, well, what changed? What did we change? Did we change audiences? Did you change the webinar? Did you change the emails? We pull up the funnel, we look at all of those stats and we figure out what the problem is because you can always find the problem, there’s always like something in there, there’s a gap. In this case, what actually was the problem was the webinar, a tech issue wasn’t playing, and then the emails also had an issue going out. It was actually like a tech issue that was causing that, but we were able to quickly pull it up, look at the stats and compare the stats week over week, what they were, what they were the last week and where the gaps are, what we needed to do to fix it. If that was a case of like everything was the same but we changed Facebook ad audiences, then we could easily say, “Okay, let’s go back two weeks, look at the funnel stats. The sales conversion was 3% of all the people who signed up for my webinar purchased.” That’s pretty good depending on the price of the product. Let’s say that was good, that was hitting our threshold. What did we do that week that we changed from this week and let’s go back and look at that week so we can do more of that. It’s just so important that you track that whole customer journey. I have had people say, “You know, you guys are more like a marketing consulting team than you are just a Facebook ads managers because I’ve never had a company look at the big picture.” To me, I’m like how can you not? Because what’s happening in the ads manager is only a small fraction of what’s happening in the entire funnel and you need to know where are people making these decisions. Facebook actually just rolled out new tracking, and our team just had an internal training on this so that I could train my ads managers. You can plug in funnels in Facebook ads without getting crazy tech like Google this. You can go into the new analytics and you can say like create a funnel, you can put the URL. The first URL of your funnel let’s say it’s a webinar and then by using, if you had the funnel correctly pixeled all the steps by using that pixel, you can actually see right there on the dashboard the percentage of people who go from the webinar, to initiate checkout, to purchase and it’s pretty cool. It even shows you how long … One of ours that we pulled up, we used a big client because they had a lot of this. It was like two hours after becoming a lead, the average person would initiate the checkout, and then two minutes after that the average person would purchase. That was interesting. Then it was like, it tells you 76% of your pixel traffic that goes to this page becomes a lead, and then 10% become buyers. You can find that data outside of Facebook that’s why it’s not like the most amazing thing ever, but it does lay it out in a cool way where you can use the pixel data for your funnels to actually see just like a high level overview of where there are potential gaps. When we send reports to our clients which I’ve done a podcast on reporting and what we report on, but just a reminder, every single week we report on cost per lead, how many clicks, landing page conversion, webinar show up rate, webinar sales purchase conversion, and this is if there’s a webinar obviously, if it’s a different funnel we’re reporting in all the metrics in that funnel. If the webinar was trying to promote a call, we’d say percentage of people who booked calls, or cost per call, cost per acquisition for a purchase, and then how much money we spent, how much money we made and our ROI. Every week we have that because then you have weeks and weeks of data so that if something drops off, if something stops working, or if something works crazy one week, you can look on a very granular level see what did we change? Part of the key with that too is like don’t change everything because if you make the mistake of just changing everything one day, you’ll never know what was working. So make sure when you’re making adjustments, like let’s say for example, your landing page conversion isn’t exactly where you want it but your webinar show up rate is really crappy, first fix the webinar show up rate then work on the landing page conversion. If you’re changing your webinar do minor tweaks, don’t change the whole thing every week because it’ll be really hard to see what actually was working. 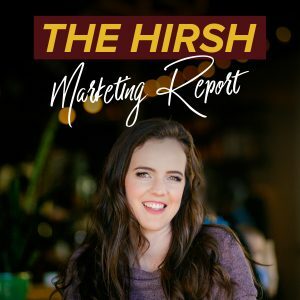 If you want somebody to map your entire customer journey and help you make the most out of your marketing budget, go to helpmystrategy.com and book in a call with the Hirsh team. Thanks so much for listening today guys.